Give and ye shall receive? 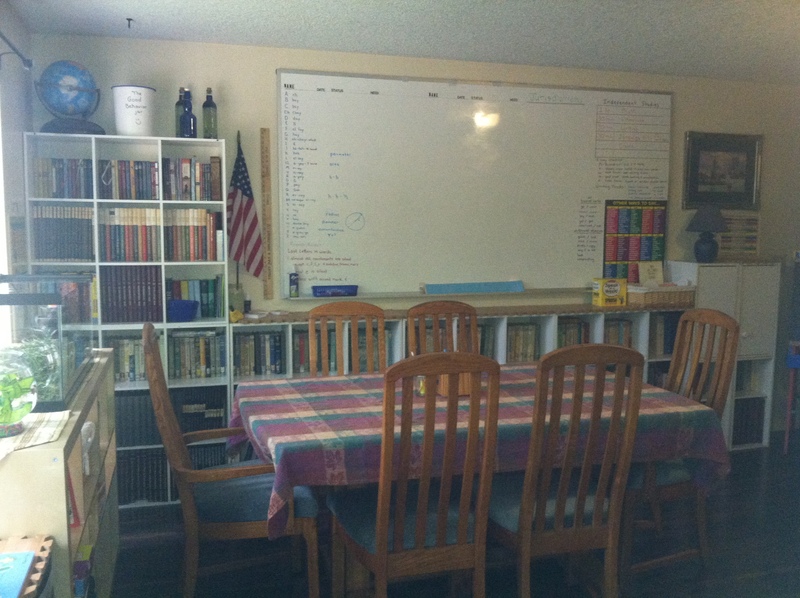 I went through my schoolroom this past spring. 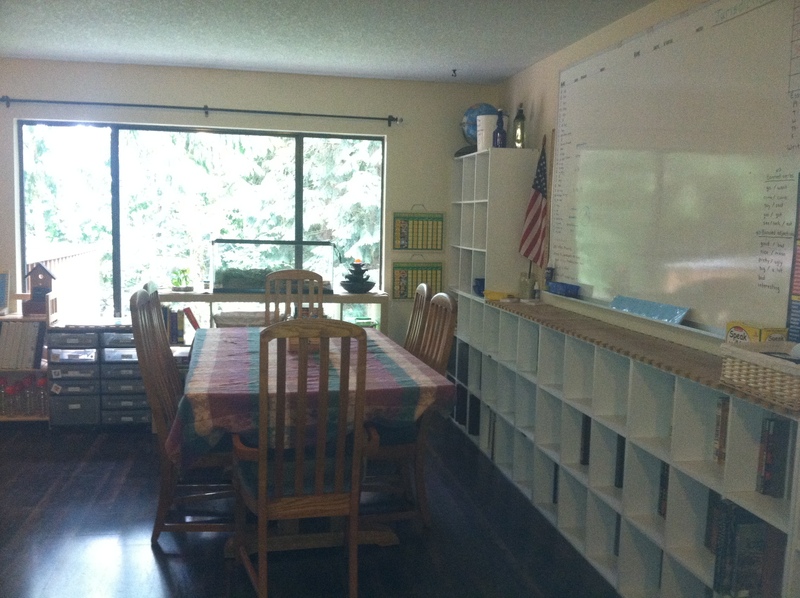 I gifted my whole set of Abeka (Kindergarten through 6th grade) set to a new homeschooler in the community. I don’t know them, I haven’t met them, but I did hear about their need. So I boxed up 3 large boxes and sent my husband on the “surprise” drop off. Then I heard about someone really desiring Sonlight for their 2 young boys (7 & 9). 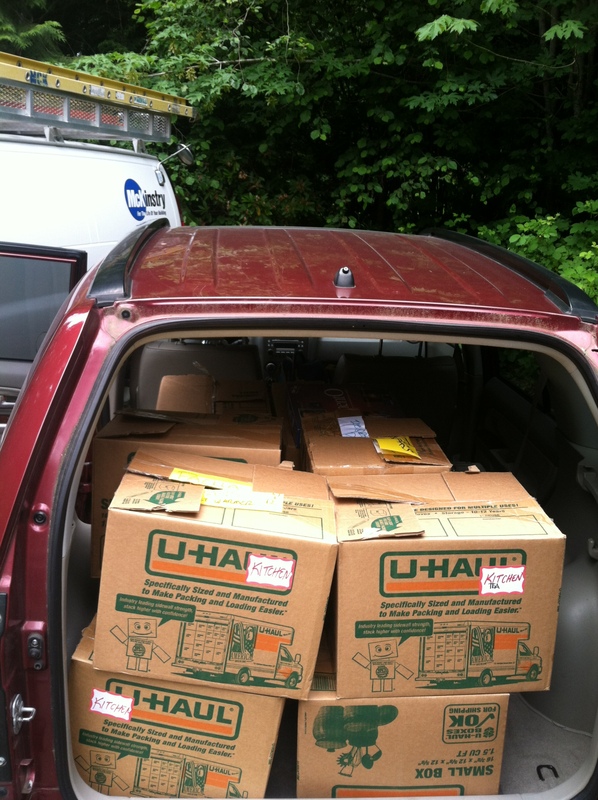 I happened to have what they needed, so I boxed up 2 years worth of books and sent them on their way. Next was someone who needed leggos; yep, we have an overabundance, so we shared! imagine my surprise when I became the recipient of a gift of BOOKS! 8 boxes of classic literature, history novels, nature books, and more! The Landmark Books are a series of non-fiction books published by Random House in the fifties and early sixties. My cousin and his wife have finished homeschooling their daughter and, like I mentioned above, wanted to “bless it forward”. Thank you D.T. & Leola! I am SO excited!! 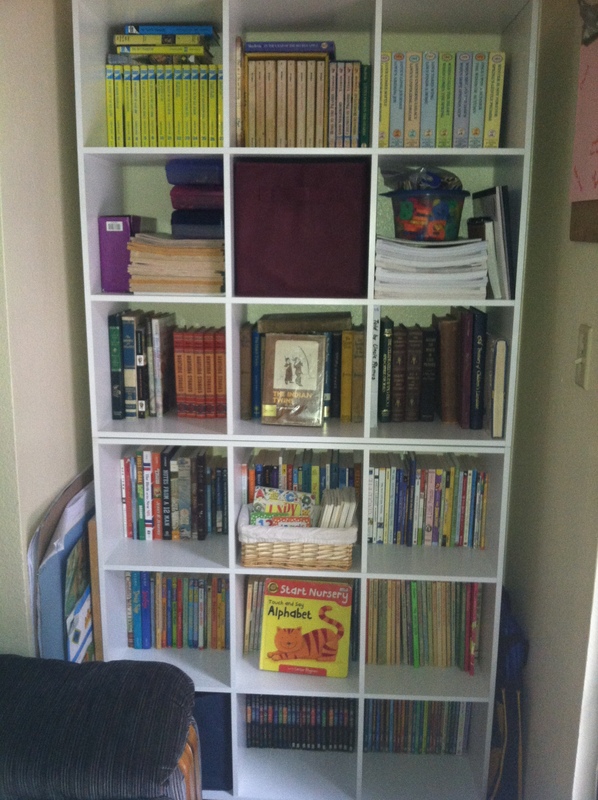 All those cubbies on the right contain classic literature and history books. -below is a small view of them. These shelves are more for *free* reading interests. 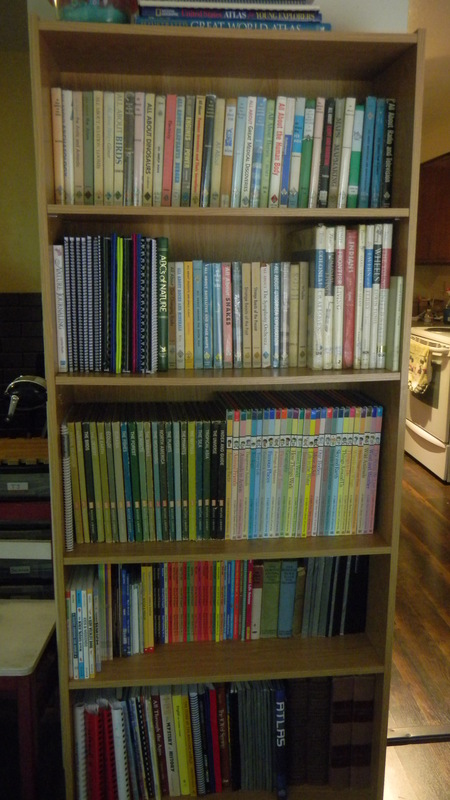 Thus they fit nicely in our reading area. such as life cycle of a frog, spring trees, farm life, etc. We actually put a daily craft on there to make a mural by the end of the week. Schools out, so obviously it’s a little blank right now. 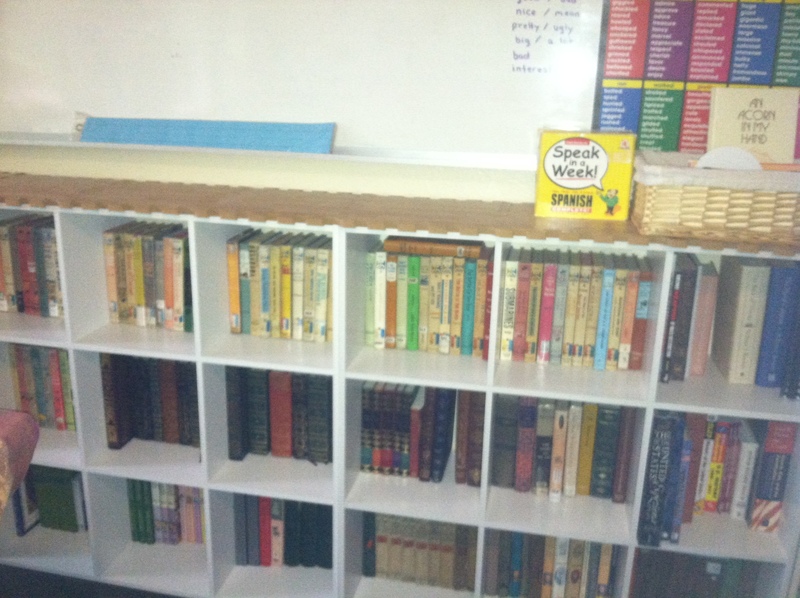 Next is our nature and science shelves! 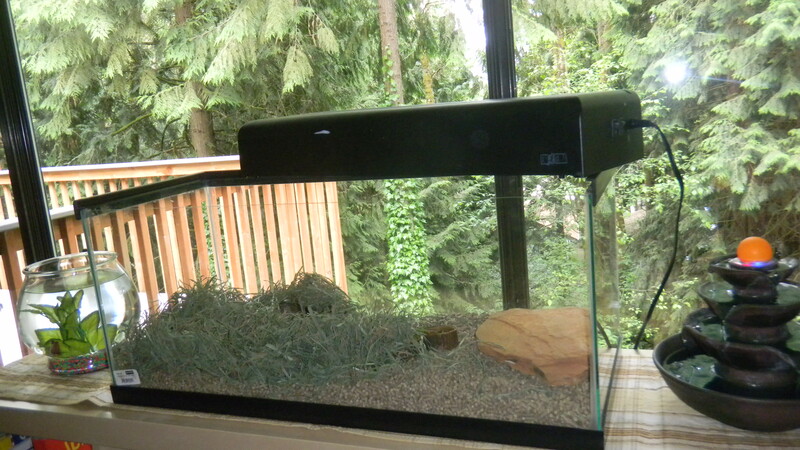 …along with our nature observation window. 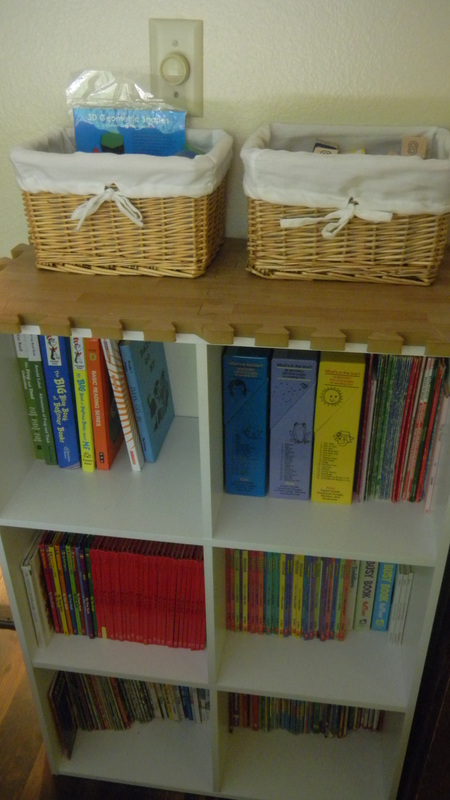 I also have a small bookshelf for early readers. 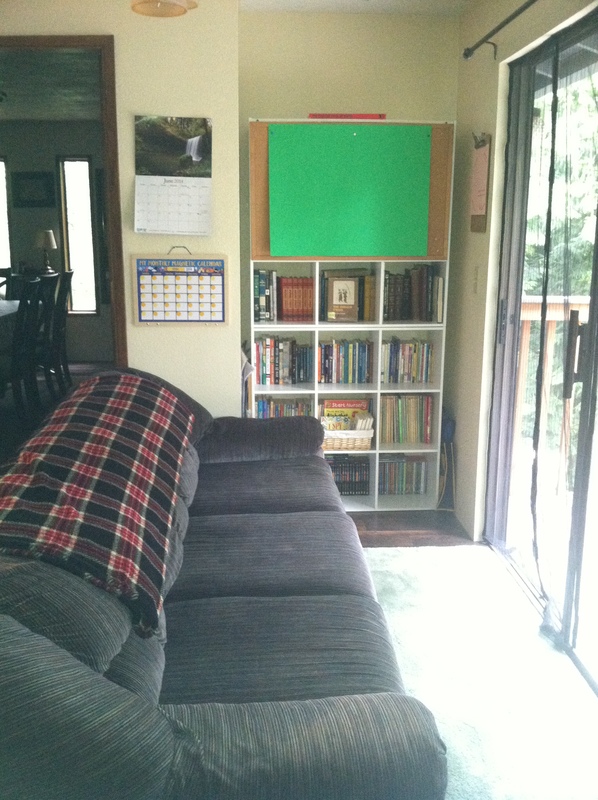 Here is the angle of the classroom from the reading area. It gives a better view of all the history books too. 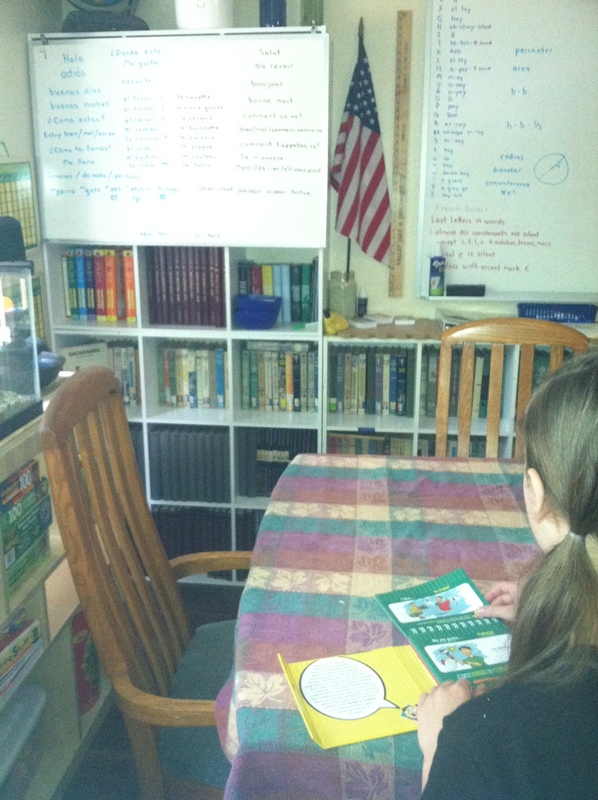 We add a small white board to the top of the bookshelf for Spanish/French lessons. Since we are officially on summer vacation, it is a great time to review and get the younger kids to learn more. 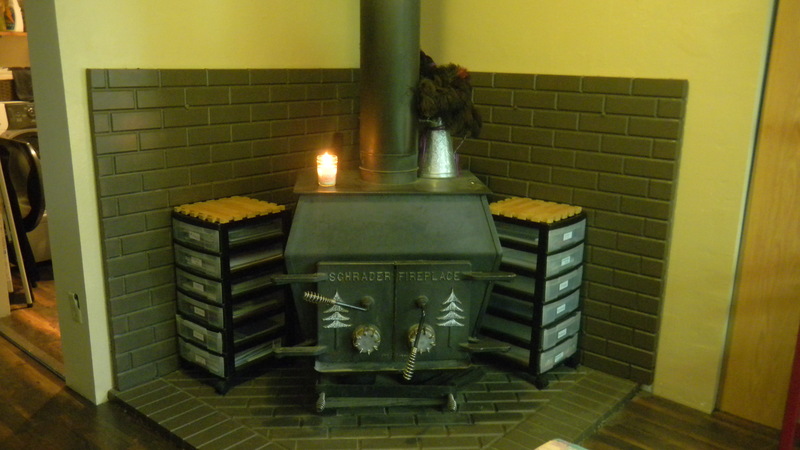 And to utilize space, I put the older kids workboxes by the wood stove. and we have nature in our backyard. Life is good, and I feel blessed! Wow! Those are wonderful books. Amazing! What a blessing! And lovely photos of your books & home!! I love your bookshelves. My hubby has agreed to build some for me, but I was thinking if I purchased them, it might be easier for him. Can you tell me anything about the cubbies? Like where you bought them or if you built them. Thanks!